Christmas C.R.A.F.T. #6: Candy Trees - C.R.A.F.T. 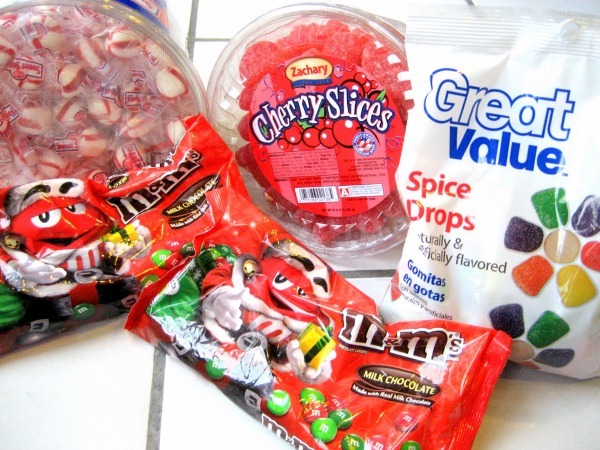 This is a fun, yummy, kid friendly Christmas craft that involves candy! 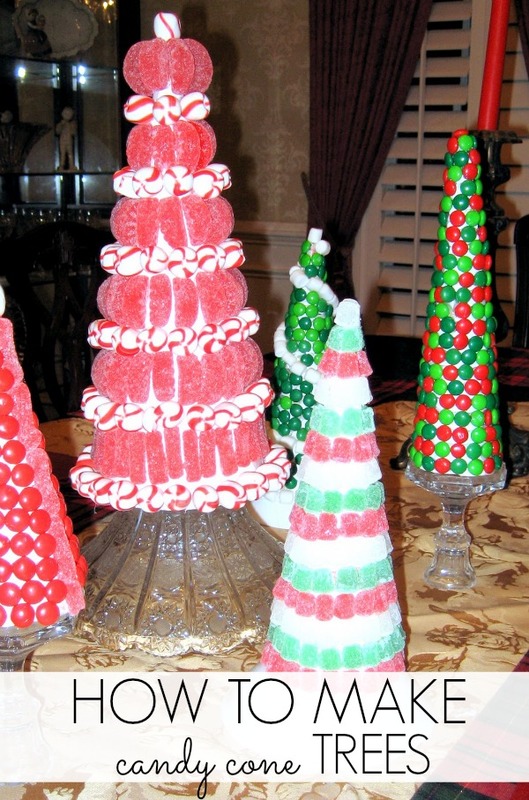 And can even spruce up your holiday table! 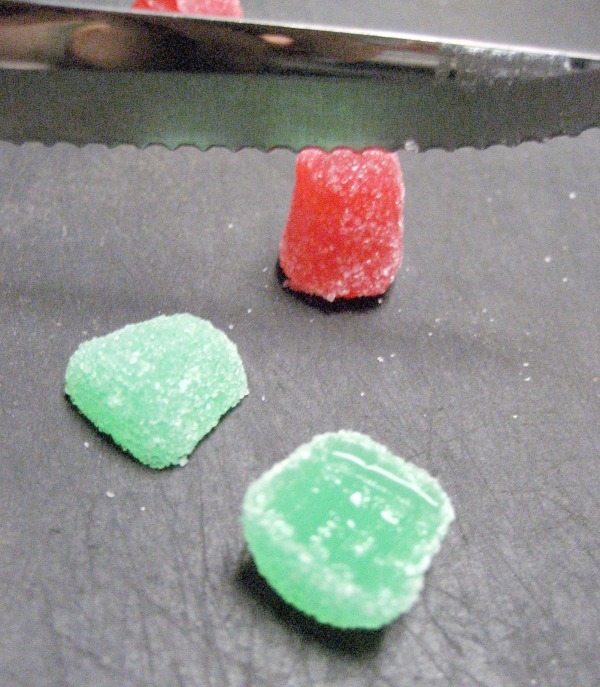 Make a few and throw them in the center of your table… fun right? The premium poster board is .98 cents each at Wal- Mart… it is thicker and sturdier then regular poster board. We used 2 pieces to make 5 trees. 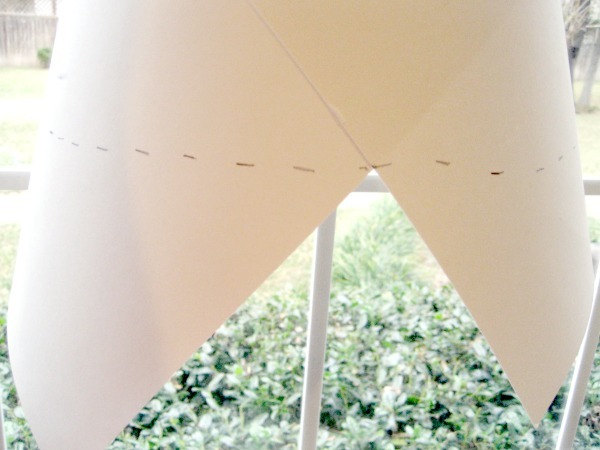 First, roll a piece of poster board into a cone shape. 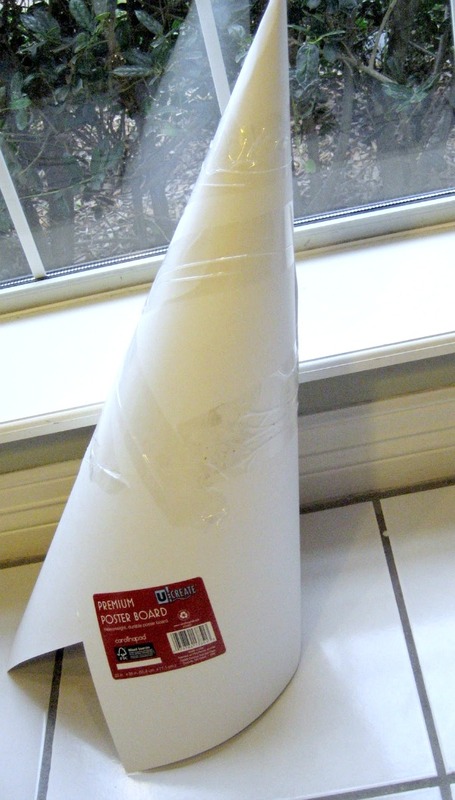 Then, use packing tape to secure your cone. Next, use a yard stick to measure the shortest distance on your cone…use this measurement to mark an even line. 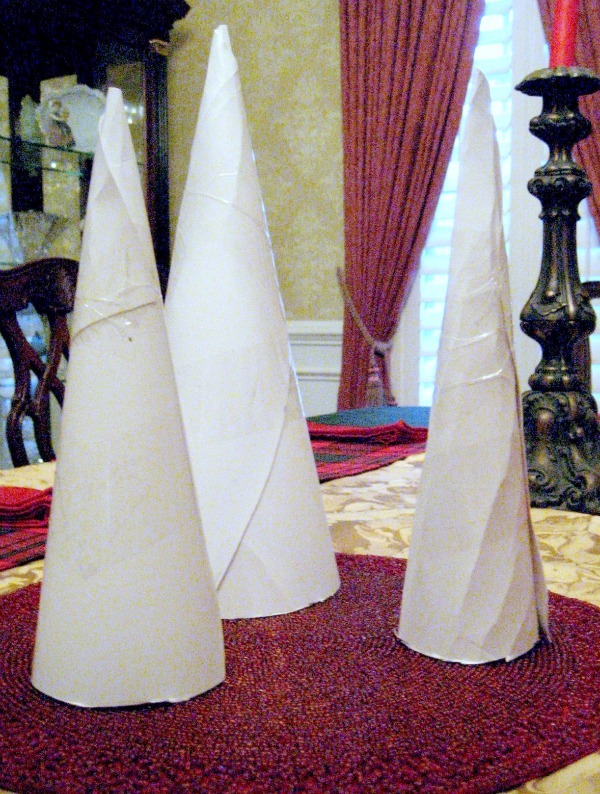 We made 3 cone shapes first to make sure we liked the sizes for the table. Now, for the fun stuff! We used the gum drops first. We cut each gum drop in half for 2 reasons #1: more candy for your money #2: they glue on easier and do not stick out as far on your tree. We made 5 trees to use as center pieces on my mom’s dinning room table. We used glass candlesticks and white bowls as trunks. 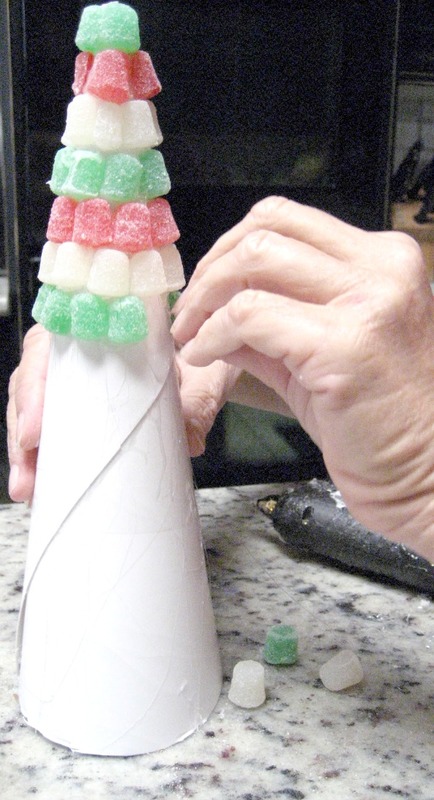 Have you ever made candy cone trees? They’re easy and fun and yummy! 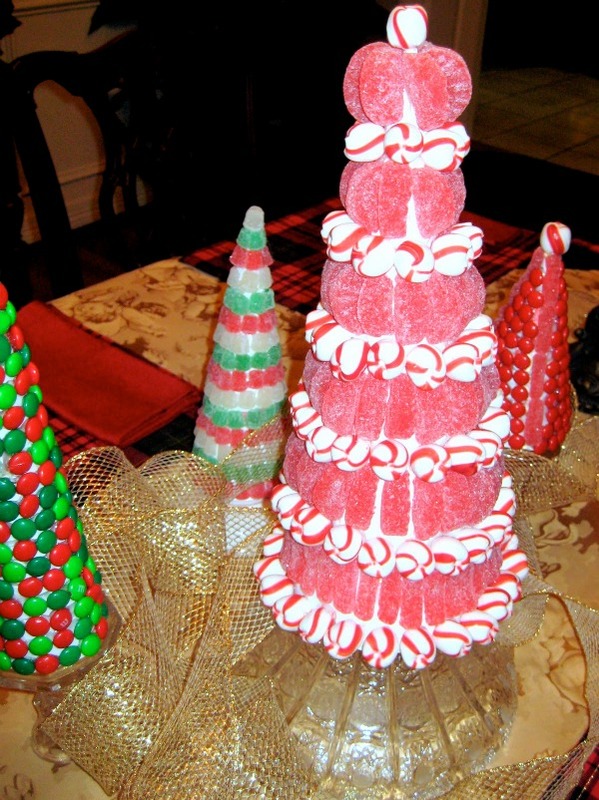 Wow-what an adorable and yummy craft-one for the tree and one for me! 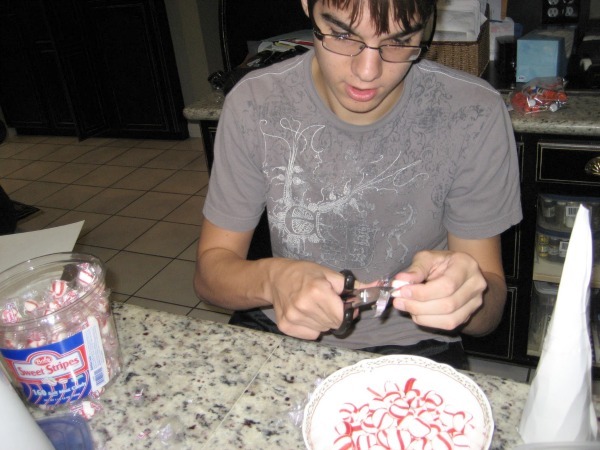 I would have definitely been begging to eat those when I was a tot…. What a super fun idea! I'm going to do this with my kiddos! These are so cute! Great project to do with kids. I love these! I want to make them but I know a certain 3 year old who would probably lick them constantly. Maybe next year! Thanks for linking them up.